I've long felt that "stories" are fascinating because, ostensibly, we can learn something about people who tell stories; what inspires them, what they dislike, what their values are like etc. Obviously its easy to play the pop shrink and come to all sorts of unfounded conclusions, but even so, the stories we tell tell stories about us....I think. Another thing I find fascinating is the episode concerning the fraudulent Yerushalmi order of Kodshim which was published early in the 20th century and accepted by many gedolei Torah, as well as critical scholars, but also suspected and proved to be a forgery by....other gedolei Torah, as well as critical scholars. A fascinating overview of the case was written by R. Yosef Gavriel Bechhofer and can be downloaded here. In brief, the one-time existence of the a Talmud Yerushalmi on Kodshim was known from references to it in rishonic literature, but the actual order itself was lost. A mysterious person calling himself Shlomo Yehuda Algazi-Friedlaender, claiming to be Sephardic (but was actually Lithuanian), turned up with a text he claimed was the Yerushalmi Kodshim. He had in fact forged it himself, and did so ingeniously, reworking actual texts from the Bavli, creating his own text out of unsourced halakhot quoted by rishonim, changing names etc. It's really worth reading R. Bechhofer's exceptional essay. In the essay he notes a story (refer back to the first paragraph of this post), which he calls "an unverified legend related in the Yeshiva world," about how the Rogachover Gaon, R. Yosef Rozen, determined it to be a forgery based on a simple test: because of his encyclopedic knowledge of the Talmud, he noticed that each tractate contains the name of at least one amora which doesn't appear in any other tractate. In these tractates, there are no amoraic hapax legomena. Thus, it had to be fake. The story is interesting (R. Bechhofer notes that R. Rozen's analysis and objections actually appears in his Tzafenas Paneach, #113-115). I think it's evident that underlying the story, or legend, is the idea of the Rogachever's encyclopedic knowledge but also his knowledge of arcane Talmudic trivia which would escape the attention of anyone but one who was somehow able to have in mind, as it were, the entire Talmud at one time in order to notice something like that. Presumably the Rogachever knew all kinds of other things which no one else knew about the Talmud, things which only a mind like his could notice and which he never had occasion to share. In any event, which is more impressive, research or what I called a Feat of the Mind? --something of interest was noticed subsequent to the time this forgery turned up. Paleo-Hebrew written on leather (or pottery) does not look like Paleo-Hebrew chiseled out of stone. With ink a cursive can develop and the thickness of the lines is influenced by the pen. Simply put, the real thing would have looked more like the second and less like the first. Instead, it looks exactly like the first. In the words of MH Goshen-Gottstein, " The Shapira Forgery and the Qumran Scrolls," JJS 7:3-4, 1956, "the forger imitated Paleo-Hebrew monumental letters, i.e. letters used on inscriptions (or coins). Neither he nor any scholar in the 1880s could know....that a written Paleo-Hebrew document exhibits altogether different characteristics." When was the Vilna Gaon first mentioned in print in English? Something about Hebrew abbreviations, abbreviature, or, rashei tevot at English Hebraica. א גוט שבת, dear reader! When was the Vilna Gaon first mentioned in print in the English language? This is from 1824, and is from a book called Missionary Journal and Memoir of the Rev. Joseph Wolf: Missionary to the Jews (nice, huh?). The search is difficult because---what would he be called? Throughout the 19th century one finds him called many things; Elijah Wilno, Rabbi Elia, Elijah Gaon and more. I'm sure there's something earlier--and I will find it! A couple of days ago a post by DovBear contained the following exchange in the comments. - "Many people, even frum people say Isaiah must have two authors." - "Any Orthodox Jew who believes in Deutero-Isaiah is a hypocrite." - "Hmmm.... I am orthodox and believe in Deutero-Isaiah. So, you are calling me a hypocrite?" - "Well, either that or not Orthodox. Pick what you prefer. " - "Im aware of nothing that prevents or prohibits an Orthodox Jew from accepting that the book Of Isaiah had (at least) two authors who lived hundreds of years apart." At which point I chimed in noting that there is a history to the issue and that we are talking about Orthodox hashkafah. Further exchange led to the claim (not by me) that there is nothing in Orthodox halakhah to prohibit this belief. I merely noted that one should try advising a potential convert to disclose to the Orthodox bet din that he believes in Deutero-Isaiah. Try, that is, if one wants to give bad advice. Since this is an issue with a history, I thought it might be interesting to discuss some of that history and then to relate it to a historical conflict between two great friends. To begin with, it doesn't take great literary analysis to notice that what we call Isaiah 40-66, beginning with נחמו נחמו עמי, takes a different tone from what we call Isaiah 1-39. That isn't the issue per se, since no one denies this. In addition, the second part discusses the post-exilic period and even names the Persian king Cyrus by name (44:28 and 45-1), two hundred years before this king lived. The question is how to interpret these facts. Obviously if one believes in prophecy and the prophetic ability to predict the future then it is possible that this is such a true prophecy and could well have been written by the prophet Isaiah. Obviously if one doesn't believe in prophecy or the prophetic ability to predict the future then these chapters could not have been written by Isaiah, but by someone else who was reflecting on current or past conditions rather then predicting future ones. It should be noted that Chazal viewed the book as written by Isaiah, and as far back as we can trace this entire book was viewed as written by Isaiah. Ben Sira 48:27-28 (in the version I found online) notes that Isaiah prophecied the prophecy of Isaiah 44 ("With a great spirit [Isais] saw the things that are to come to pass at last, and comforted the mourners in Sion. He shewed what should come to pass for ever, and secret things before they came."). There is definitely no smoking gun ancient text or fragment in which Isaiah is two works. There is no need to get into the particulars of the history or even really to drop names, but suffice it to say that by the nineteenth century the modern view was firmly established that Isaiah 1-39 and 44-66 were the work of two (or perhaps three) people. The first could have been Isaiah, the second had to be someone else who for the sake of convenience could be called Deutero- or Pseudo-Isaiah. Before I discuss the Jewish reaction to this view and who adopted it and who eschewed it, I want to quote myself. Above I wrote "if one believes in prophecy and the prophetic ability to predict the future then it is possible that this is such a true prophecy and could well have been written by the prophet Isaiah." I wrote these words deliberately, because I wanted to note that believing in prophecy or the prophetic ability to predict the future per se does not guarantee that 1) those latter 26 chapters were written by Isaiah or 2) that a believer accepts the unified authorship of Isaiah. The reason for (1) is that one's belief in prophecy doesn't guarantee the authorship of any work. And for (2) is because there absolutely were (and perhaps are) believers in prophecy, including its predictive power, who didn't believe that 40-66 were written by Isaiah. So it's important to note this, even though in the final analysis most believers in prophecy would not doubt it and would consider Isaiah to be one work by one prophet. It seems that before the 18th and 19th century there was a Jewish exegete who doubted that the whole book was prophecied by Isaiah, and I think there can be no doubt that he did believe in prophecy (hence (2) above)--'Ibn 'Ezra. Know that Chazal said that the book of Samuel was written by Samuel, and this is true until the verse "And Samuel died" (i Sam. 25:1). And Chronicles proves the point where it lists the generations of the descendents of Zerubbavel (i Chr. 3:19-24). [since it list ten generations, obviously these verses are later interpolations] And here in Isaiah we see it from the verse "Kings shall see and arise, princes shall bow" (Is. 49:7). Although you could say that the kings and princes will do this when they hear the name of the prophet, long after he died, if not, then the maskil will understand what I mean. 1. Even though Chazal ascribe Samuel to Samuel, that's true only up until where it says he died. Obviously another hand wrote the rest. 3. In Isaiah itself, the prophet prophecies that when his prophecies come true, kings will show respect to the prophet who was despised. Since the prophecy would come true 200 years after Isaiah, could you say that they would then show respect and bow to him? Ibn Ezra notes that you could say that--but if not, then he who is enlightened will understand what he means. All in all, there is no question that this Ibn Ezra has been understood to mean one thing: two prophets. If there is a more convincing explanation of what he meant, I'm all ears. As I said, Ibn Ezra did believe in prophecy and presumably believed that prophecy could be predictive. His evident opposition was based on literary sensitivity and not opposition to prophecy. Be that as it may, this was not the traditional view. When the 19th century and modern Bible criticism rolled around Jews who accepted modern Bible criticism adopted this view while traditionalists continued to believe that Isaiah was the work of one prophet. As noted in an earlier post R. Samson Raphael Hirsch wrote in 1854 "Orthodox Judaism...knows neither of the various authors of the Pentateuch, nor of Pseudo-Isaiah." But if this were so, what about Orthodox Jews? Here the matter is sketchy only because we are in a transition period between traditional and modern culture. No Jew was ever called Orthodox, nor were they called Reform before this period. During this period though there were Jews who are not easily categorized, as there still are today! I want to highlight an issue of contention between two 19th century Jewish scholars over this very issue. I think a case could be made about either one either being or not being Orthodox, but certainly not in the sense that an Orthodox Jew sensitive to denominational divisions could consider either one to be beyond the pale for not being Orthodox. Be that as it may, Shir accepted the idea of Deutero-Isaiah, probably initially because his mentor R. Nachman Krochmal propounded it, and Shadal thought it was simply horrific, a horrific idea and horrific of Shir. Shadal's issue was strictly the matter of prophecy, although he claimed that he had other reasons too. Why, he felt, would anyone who believes in prophecy have reason to doubt that chapters 40-66 were written by Isaiah? Furthermore, Shadal happened to have disliked Ibn Ezra  (even though to an outside observer Shadal's own work bore closest resemblance to Ibn Ezra of many of the medieval meforshim; but Shadal idolized Rashi). He believed that Ibn Ezra was disingenuous in presenting himself as more pious than he was. He believed that Ibn Ezra flirted with biblical criticsm (in a proto- sense, obviously) and then tried to mask it with coy comments about secrets which the wise would understand. At the same time, and perhaps this is a contradiction without reconciliation, Shadal unapologetically thought in ways which broke with traditional modes of thinking. He believed that Kohellet was not written by Shlomo, but by someone named Kohellet from a much later period. As noted earlier in this blog, he suggested conjectural emendations for the Bible. I'm sure R. Hirsch thought highly of him--except not. In contrast, Ibn Ezra was a model for Shir. (But his particular hero was the Rambam, who Shadal also was critical of.) Although I admit that I favor Shadal in the sense that he's very important to me, I certainly cannot fault Shir for doing exactly as Shadal did, following his own intellect, pursuing the truth as he saw it and holding a great exegete as a role model. Shadal would constantly bring it up and Shir would constantly remind him that he is only being true to his sense of truth. Furthermore, Shir would defend Ibn Ezra, once writing that "From Abraham to Abraham there was no one like Abraham [ibn Ezra]," paraphrasing the aphorism comparing Moses to Moses [Maimonides]. On occasion Shir, sensing Shadal's getting hot under the collar, would remind him that he harbored no ill will and only warm feelings toward him even though Shadal "could not imagine that anyone who disagrees with you on any matter can still harbor friendship toward you." Although the Deutero-Isaiah issue was always present, the matter of Ibn Ezra was an even greater source of tension and even led to a two-year interruption in their correspondence, ostensibly spurred on by another matter, but not to be removed from the context of the already frosty bones of contention between them. In 1839 Shadal was informed that Shir was publishing an essay critical of him and that the reason was that Shir was getting heat from his own community over his friendship with Shadal, given that he had criticized the Rambam. When such an essay did appear in the journal Keren Hemed, although not authored by Shir, edited by him, Shadal got very upset and fired off an angry, and hurtful, letter which he couched in terms of a bill of divorce. Some overtures on the part of Shir and some attempts at peacemaking were made and eventually they resumed their friendship. In any event, getting back to Deutero-Isaiah, Shir believed in it. As I said, his mentor propounded it, but he also offered reasons. 1. Where the Talmud lists the order of the prophets Isaiah is placed after Ezekiel. Therefore Chazal must have considered the second part of Isaiah to have been contemporary with events following Ezekiel, ie, post exilic. 1b. Shadal countered that if the Talmud intended to list books chronologically then wouldn't Job, given in the same passage as authored by Moses, be listed before Psalms? 2. The prophets never describe the distant future with such great detail. There is no other example of someone not yet born named by a prophet. 2b. Shadal countered that there are examples like this. For example, it is told in the Torah that Zebulun "shall dwell on the sea-shore." King Josiah's burning the bones of the prophets of Baal is predicted before his birth, and he is named. 3. The prophecies in chs. 40-66 would not have been intelligible to the contemporaries of Isaiah. For example, there was no Persian empire. To put it in contemporary terms, how would we understand a prophet today telling us about the El Salvadorian superpower? 3b. Shadal countered that these later prophecies were not intended for public consumption until later generations. Perhaps they had only been written down, but not spoken to the people. 4. Stylistic. The first part is more esoteric and cryptic, while the second part is written more clearly and elaborate. 4b. Shadal countered with the same argument as in number 3: since the first part was meant for public consumption it was not esoteric to its original audience, but only to us who don't get the allusions. But since the second part was prophecied at the time only for an initiated audience, it had to be spelled out more clearly so that its prophecy could be correctly understood by them. This is the gist of the arguments traded between Shir and Shadal (as taken from Morris Margolie's marvelous biography of Shadal). Getting back to the beginning of the post, and hopefully closing the circle, what of Orthodox believe in Deutero-Isaiah? Now, its true that a handful of Orthodox scholars publically accepted this view. A name that keeps on recurring in this regard is Jacob Barth, son-in-law of R. Azriel Hildesheimer who evidently taught this even at the Orthodox rabbinical seminary in Berlin. The idea behind bringing this up is to create an association with this idea and Orthodoxy. I suppose it works in the "limits of Orthodox theology" sense. I'm sure you'll find much veiled acceptance of Deutero-Isaiah by many Orthodox Jews, not only in academia, but even in some more right wing circles. But I still feel justified in saying that it runs counter to Orthodox hashkafah and it would probably create a huge speed bump for a potential Orthodox convert, if not scuttle his chances altogether. That said, probably this is the kind of view that needs to be judged in context. Some Orthodox Jews can probably believe this somewhat public ally without their Orthodoxy questioned. Others would run into trouble. On the other hand, Encyclopedia Judaica quotes the Hertz Chumash "This question can be considered dispassionately. It touches no dogma, or any religious principle in Judaism; and, moreover, does not materially affect the understanding of the prophecies, or of the human conditions of the Jewish people that they have in view." cf the comments by R. Sabato Morais, who probably occupied space somewhat on the same religious spectrum of Orthodoxy as R. Hertz here. An 1866 Bible dictionary sums up Shadal's viewpoint with the following: "A more recent Jewish expositor, Samuel David Luzzatto in Padua, says beautifully and strikingly: "As if Isaiah had foreseen that later scepticism will decide against the half of his prophecies, he has impressed his seal on all, and has interwoven the name of God, "Holy One of Israel," with the second part just as with the first, and even still oftener." Firstly, if this seems shocking to contemporary Orthodox ears his arrogating to himself the right to judge someone like the Ibn Ezra itself is a good example of why a transition figure like him could be considered Orthodox or non-Orthodox. By the same token, one hears of others who did this, including R. Hirsch about the Rambam and more recently R. JB Soloveitchik about Abarbanel and perhaps too the Meiri. But according to Orthodox manners one does not have opinions about the persons of canonical rabbinic figures. Secondly, Shadal could be admiring toward Ibn Ezra too, writing once about him "there is no need to adduce proof of his incalculable erudition." But his view of Ibn Ezra can't be said better than this other quote: "Ibn Ezra sold himself as a slave to Greek and Arab philosophy and like a blundering fool, he derides the likes of Sa'adia." If you're like me, you take ראשי תיבות, and other kinds of Hebrew abbreviations, for granted. רש''י, הנ''ל ,עמו''ש, וא''ת, וגו'י and much, much more. But it is an interesting convention nonetheless, if not necessarily unparalleled. Apart from simply being interesting, fluency in such abbreviations is necessary for understanding rabbinic literature. So it was that the great Christian Hebraist Johann Buxtorf (the father) wrote De Abbreviaturis Hebraicis (published in 1640) as a key to these mysterious abbreviations. Below is an interesting excerpt from a little book published in England in 1736 by John Gibbs called An historical account of compendious and swift writing. The increasing and inconsistent use of abbreviations has inevitably led to occasional confusion and made the study of Hebrew texts more difficult, a fact recognized in the 16th century by Solomon Luria (Yam shel Shelomo, Hul. 6:6). Misinterpretations have occurred when ambiguous abbreviations were printed in full. In any case, difficulties arise when an abbreviation can be read in more than one way, so that, e.g., in a bibliographical context ד''ו could be read as דפוס ויניציאה (“Printed in Venice), or דפוס וורשא (“Printed in Warsaw”), or דפוס וילנה (“Printed in Vilna”), or דפוס וינה (“Printed in Vienna”). Because of the risk of misrepresentation, no abbreviations may be used in a bill of divorce (Git. 36a and Sh. Ar., EH 126) or other religious documents. Misrepresentations have also occurred in the work of censors and Christian scholars (e.g., three yod's have been taken to denote the trinity. Hebrew abbreviations have been found on Christian amulets, and Christian writers have used kabbalistic methods, such as regarding a complete word as notarikon (e.g., ברא as בן רוח אב). Because of the many obscurities in the Hebrew writings, which Christian scholars were anxious to study, a guide to abbreviations was needed and it was a non-Jew, Johannes Buxtorf the Elder, who produced the pioneer work De Abbreviaturis Hebraicis (1613). The first Jewish work of this kind, by Elijah Levita, concentrated mainly on the masoretic ambiguities; lists of abbreviations were eventually added to Hebrew works and were followed by independent, comprehensive compilations. Of these, the following are the most important: J. Ezekiel, Kethonet Yoseph. A Handbook of Hebrew Abbreviations (Heb.-Eng., 1887); G. H. Haendler, Erkhei ha-Notarikon (1897); M. Heilprin, Ha-Notarikon . . . (1872, 19302); A. Stern, Sefer Rashei Tevot (1926); S. Chajes, Ozar Beduyei ha-Shem (pseudonyms; 1933); S. Ashkenazi and D. Jarden, Ozar Rashei Tevot ... (1965); S. Ashkenazi, Mefa'ne'ah Ne'lamim (1969); A. Steinsalz, Rashei Tevot ve-Kizzurim be-Sifrut ha-Hasidut ve-ha-Kabbalah (1968). Many abbreviations were misinterpreted (often quite intentionally) and caused misunderstandings which became part of the Jewish folklore. For example, the Yaknehaz abbreviation in the Passover Haggadah. 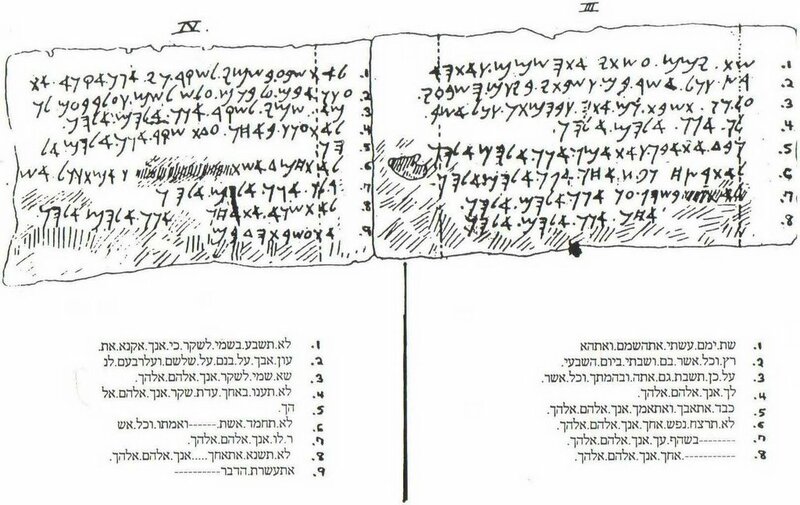 denoting the order of the benedictions (yayin, kiddush, ner, havdalah, zeman), was understood as the German jag'n Has (“hunt the hare”) and pictures of a hare hunt accompany the relevant passage in the printed Haggadah. Many folk etymologies are based upon the notion that the obscure word is an abbreviation; so, for example, the word afikoman is explained by the Yemenite Haggadah as an abbreviation of egozim (“nuts), perot (“fruits”), yayin (“wine”), keliyyot (“parched grain”), u-vasar (“and meat”), mayim (“water”), nerd (“spices”). The abbreviation of Akum for Oved Kokhavim u-Mazzalot (“worshiper of the stars and constellations”) was interpreted by anti-Semitic propaganda (Rohling) as Oved Christum u-Miryam (“Worshiper of Christ and Mary”). 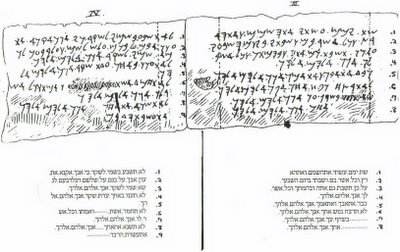 Stone Chumash bibliography: a window into Artscroll's corporate subconscious? Artscroll's "leaders of Jewry" at What's Bothering Artscroll? Artscroll's Stone Chumash contains a fascinating bibliography (pp. 1297-1303 in my edition). Although I did not count the sources apart from the first page (37) and another one at random (41), I average that to some 280 sources are cited in the commentary of this work. However, a good deal are the names of individual Talmudic tractates or sages, which means that the number of unique sources are less--I think we can agree that "Babba Kamma" or "Rabbi Akiva" perhaps should be combined under "Talmud Bavli," as it does for the Yerushalmi--so perhaps there are some 250 sources. Still, the bibliography spans all periods and types of traditional sources: everything from midrashic collections to ge'onic works, from peshat oriented rishonim to kabbalistic rishonim; from homiletical commentaries to philological ones; from the Vilna Gaon to Chassidic rebbes; from modern traditionalist commentaries like Ha-kesav ve Ha-kabbalah and Netziv to R. David Zvi Hoffmann; from 20th century Litvishe roshei yeshivot to freelance 20th century talmidei chachamim. I would not be the first to notice that R. Kook, the Lubavitcher Rebbe, Nehama Leibowitz are absent, but this is unsurprising. R. JB Soloveitchik is included. There's no Benno Jacob and there's no S.R. Driver, but that is to be expected. What's interesting about the bibliography is that Artscroll chose to write a short bio for each one. These are informative, largely accurate, but sometimes interesting in ways that they probably didn't intend. For example, from these bios we learn that some (mostly) 20th century rabbis were "leaders," while, by omission, others are not. - Chazon Ish "was acknowledged as a foremost leader of Jewry"
- R. Moshe Feinstein "a foremost leader of Jewry"
- R. Yaakov Kamenetzky "a foremost thinker and leader of Jewry"
- R. Aharon Kotler "a foremost leader and proponder of the primacy of Torah"
- Pachad Yitzchak (R. Yitzchak Hutner) "a foremost thinker and leader of Jewry"
- R. JB Soloveitchik "an original Talmudic scholar, thinker and leader"
These leaders are: not Chassidic and never "freelance" talmidei chachamim. Interestingly enough this designation is left off of 'canonical gedolim,' like R. Eliyahu Dessler and most surprisingly, R. Gedaliah Schorr (although it does note that he was called "the first American-trained gadol"). I left off those who are "leading Torah scholars," as many, like R. Shlomo Kluger are called, or those called leaders with qualifiers, like geographic boundaries, such as the Chasam Sofer "acknowledged leader of Hungarian Jewry," R. Samson Raphael Hirsch "great leader of modern German-Jewish Orthodox," Imrei Emes "foremost leader of Polish Jewry," K'sav Sofer "leader of non-Chassidic Hungarian Orthodoxy in the middle decades of the nineteenth century,"
I think it's important not to read so much into who is not called a leader as to who is. The reason why is because it's pretty much clear that these bios were not written juxtaposed one next to the other (which is partly why its so fascinating--it almost seems like a window into Artscroll's corporate subconscious). Thus, I can not detect a hint of disrespect when R. Gedaliah Schorr is not noted as a leader of Jewry. In fact, there really is no disrespect in any of the bios, including R. Soloveitchik's (it is not a repeat of the Jewish Observer fiasco). To the extent that A. is guilty of omissions by not finding even one comment to cite in the name of R. Kook or the Lubavitcher Rebbe, I would note that the Satmar Rav and R. Shach are also absent--not that I think that R. Kook is going to make it out of Shaar Press. But I digress. Also of note is that the bibliography cites Alexander Kohut's Aruch Hashalem (see comments in post below) and R. Wolf Heidenheim. Now, I know that there is nothing wrong with R. Wolf Heidenheim, but let's just say that there is a reason why Reform Judaism and Its Pioneers by Emanuel Schreiber (1892) mentions him as a moderate early Reformer of the second stage, of the generation following Mendelssohn. This is not to endorse this book's depiction of him, only to note that qualitatively there is no difference between citing Wolf Heidenheim and Moses Mendelssohn in the sense that certainly the former was not "frummer" than the latter. Both were modern, religious men of the Haskalah, in the positive sense which R. Jacob Emden called Mendelssohn a maskil (see R. Dr. JJ Schachter's PhD dissertation on R. Emden for more info). Except for one thing: only one of these two men became a symbol. Thanks you...now let's have 100,000 more! 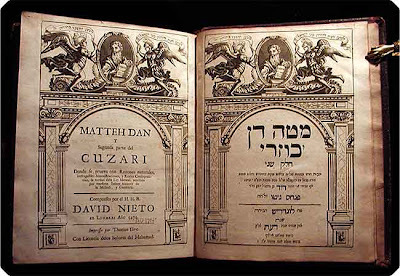 Gil posted here about his publication of a new translation of London's Bevis Marks synagogue Haham David Nieto's Matteh Dan ve-kuzari helek sheni, or second Kuzari, his defense of the Oral Torah published in 1714. (The new version is called The Rabbis' Advocate by R. Meir Levin [Yashar 2007]). 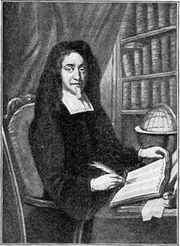 Haham Nieto himself was involved in a controversy in which he was accused of Spinozism by congregants because of a derasha he gave in 1703. In it, he attacked the Deist view that nature was a metaphysical entity separate from God. He noted that "Nature" was a term of fairly recent vintage and that it is only another name for God's providence and therefore God and nature are not separate (that is, it seemed, they are the same). Appeal was made to the Haham Zevi [Ashkenazi] of Amsterdam, who reviewed the matter and cleared him of the charge. Haham Zevi's reason was that for Haham Nieto God created nature, whereas the view he was accused of, Spinoza's, was that God was nature. After the affair, Haham Nieto emerged unscathed and went on to enjoy 25 more years as the esteemed rabbi in London. Note: Avakesh uses a picture of Hakham Nieto as his avatar. Maybe he can explain what that's about. From the officers and leaders in the London congregation in England, the exalted and upright magnates, officers of the sacred congregation Gates of Heaven, in the great city of London. May God bless them with life and peace forever. Your treasured letter seeking the word of the Lord for guidance has strengthened me and led me to speak on matters beyond my competence. You ask me regarding a dispute in a subject that I cannot search out. But we are commanded, Seek peace and pursue it. The following is the essence of your question. So we (says Ashkenazi) congratulate this sage who preached the sermon, since he knows the opinion of the philosophers who speak of nature. He despised the evil (of their opinion) and chose the good with intelligence (a phrase based upon Isa. 7.15), the sacred words of the holy ones of our people who say that everything comes from God's providence. I have heard but I do not understand the complaints of those who murmur against him. Is it because he said that there is really no such thing as nature, which should include all existence outside of God? Do they consider this a diminution of God, that He works without intermediary? Let them know that those who seek the intermediation of nature for the general management of the world are close to falling over many stumbling blocks. But this is not so with those who believe in God's providence in everything, for wherever they go, they walk securely. Of course if they (the complainers) think that the words of the preacher referred to the detailed facts of nature -- as the heat of fire and the wetness of water -- and they wish to accuse the preacher that he meant to say that the heating or moisture is in itself God, as far as that is concerned there is not a single fool or boor among all the skeptics of the world who would believe that -- let alone a sage among the people of God, who believes in God and His holy Law? All the more then are the words of the preacher clear and definite (when he says) that they (the objects of nature) revolve around the axis of God's general providence, when he says that God alone causes the wind to blow and He causes the rain and dew to fall. From this it is proved that God makes all these things. Let not the stubborn mocker object, thinking that it is not proper to describe the working of God by the name of nature, and think this is a diminution of His glory. What would they gain by shouting complaints against this preacher? Behold, the great sage, Isaiah Levi (Hurwitz), known for his wisdom and piety, in his famous book, Two Tablets of the Covenant, which is received with love throughout the scattered homes of Israel, wrote at the beginning of his book, in the name of the author of Abodat haKodesh ( Meir Gabbai, 15th century), who was a great and famous Sephardi rabbi and whose books were scattered all through the world, that the reward for those who do God's commandments and the punishment for those who violate them, are all natural rewards and punishments. To this all who have eyes and knowledge in the wisdom of truth agree. So we must congratulate the great sage, David Nieto, for the sermon which he preached, whose purpose it was to warn the whole people not to let their hearts go astray after those philosophers who speak of nature (i.e., as a separate force, as do the Deists), for many stumblings can come from that. He illumined their eyes with his true faith by saying that everything exists through God's providence. So I say to him, may his strength increase. Whoever murmureth against him after seeing my words, I suspect him of sinfulness. Now, although all these things are clear and plain, and do not need further support to refute every complainer, nevertheless, I invited two of the most educated scholars of our city to join me. After discussing the matter, all three of us agreed on the words mentioned above, that they are true and just. Written here in Altona on the 6th day of the month of Ab, of the year 1705. Now if that title isn't intriguing, I don't know what is. I came across a fascinating explanation of Hebrew as an unvoweled language and the fucntion of the vowel points (nekkudot). Typically one sees an example like this: typclly n ss n xmpl lk ths. While helpful, it doesn't really show what Hebrew is like. This interesting book, The Parchments of the Faith by George Edmands Merrill published in 1894 by the American Baptist Publication Society, does the best job I've ever seen of it because it combined words in English as they would be in Hebrew ("and the ravens" are three words in English, but just one, והערבים, in Hebrew--"nd th rvns" less accurately shows what Hebrew is like than "ndthrvns"). In addition, the vowel letters are formatted the way nekkudot are, dotting the consonants. Last but not least, the specific example, wherein it is pointed out that והארבים could read ve-ha-arabim, "and the Arabians," as well as ve-ha-orvim, "and the ravens" is quite interesting--but note: although its a great example which shows the usefulness of nekkudot, it is in fact misleading, as "and the Arabians" would be spelled והערבים and not והארבים. D'oh! "Is a person who does not believe that the Zohar was revealed to Shimon bar Yochai counted as a heretic--Dovid from Beit Shemesh--the authenticity of the Zohar has been accepted by Klal Yisrael, and therefore one who does not believe in the Zohar as being a part of Torah she-be-'al peh is, yes, a heretic." In trying to understand his point of view, it occurred to me that the question was formulated a specific way and the answer restates the question another way, and then a third way. "the Zohar was revealed to Shimon bar Yochai"
R. Leff then speaks of "the authenticity of the Zohar" and, finally, "the Zohar as being a part of Torah she-be-'al peh." I'm not sure what to make of these, if there are distinctions, intended or not. Also interesting is that its authenticity being accepted by Klal Yisrael appears to be the deal maker here. There is currently a vibrant blog post about laypeople being critical of the gedolei Yisrael. This blog points out that laymen simply don't know what they are talking about, or rather whom they are talking about when they critique gedolei Yisrael, by way of analogy from the lack of respect shown by boxing fans toward fictional boxing champion Apollo Creed when he was acting in a way that seemed unseemly, in contrast to the respect that boxer Rocky had for him a that time, noting that the fans haven't got a clue. A boxer like Rocky knows who the champ is and what exactly about him is deserving of respect, no matter how unseemly he looks to the fans, who just aren't in a position to judge who is and who isn't a great boxer. In another blog, someone posted that "What bothers me is when blogging laymen feel they can debate rabbis regarding halacha" and also "I've come across many blogs where the bloggers, sometimes women, quote pesukim and halachot to argue against gedolim. I think it is pathetic." This subject is very interesting to me. I think it might be worthwhile to explore a phenomenon that I suspect is fairly modern, but even if it is not that new, it surely could have begun only since the advent of printing. I mean this: an entire class of Jews exist who have a relationship to the texts of Jewish learning which didn't exist, or at least not in such numbers, in earlier times. Let us go back less than one hundred years to the fabled shtetl culture of eastern Europe. It is well known that there was a lot of Torah learning and there were many talmidei hakhomim of great depth, and there was a lot of love for Torah as well (putting aside the reality of the disintegration of this culture at the same time; it is still a fact that in this time these Jews still lived). Anyone reading any histories, chronicles or memoirs of this period finds that Torah classes and study groups were structure in a way which is quite foreign to anything contemporaries have seen. There were groups of Jews who studied Talmud; the chevra ha-shas. There were Jews who studied mishnayoth. There were Jews who studied chumash and there were even Jews who gathered together to recite Psalms--all according to their ability. Now, I am sure it is possible that a person who participated in a mishnayos group could have hacked it in the Talmud class. I am not asserting that there really was such a rigid stratification, but as far as I can tell, having seen this in many different places, as recently as a hundred years ago there were Jews who valued the Torah, who were pious and who hadn't a prayer of participating in or probably even understanding a Talmud class. Okay, it could be that those shas brotherhoods studied on a relatively high level, and that it was possible to teach Talmud to these less learned Jews, but it didn't happen. I wonder if I even have to say more than two words, daf yomi, about today. There are countless laymen that attend a daily shiur and if they keep to it they are, at least, in the same room as people that will, in less than a decade, run through Shas. Yes, among daf yomi goers there is a broad spectrum. There are those who are capable of independently 'doing the daf' themselves. There are those who can hack it out with a study partner. There are those who are sufficiently learned that they can fill in when the maggid shiur is absent, if they have enough time to prepare. There are those who can fill in with the help of a Soncino or an Artscroll Gemara. There are those who have practically no idea what's going on. There are those who get some of it; or do well with certain parts of shas but not others. There is a broad spectrum, but the point is this: there are no fellowships of Psalm-sayers. That is only the tiniest tip of the iceberg. Travel back to elementary school: I am assuming that the average yeshiva student, say, of ten years of age today is better prepared than his or her average counterpart a hundred years ago or a thousand years ago. Yes, there may have been some relative advantages in the old system lacking today. For example, there was no pop culture to distract and fill a young mind. But, conversely, there was really no pedagogical method for teaching broad masses. Individuals excelled, most gained very little. This can even be proven, I think, because we do possess materials that are very old which tell us some things about the literacy of Jews (and I don't mean only in eastern Europe, which was not the Jewish world). We find Jews who were apparently unable to write there own name. Not a great percentage, but they did exist. We find Jews who did not know how to write their own name correctly (eg, מרדחי for מרדכי), where it is obvious that such people did not read very much. Today's child doesn't leave the heder forever at 12 or 13 or so (and the old heder did not produce average 12 year olds as learned as our average 12 year old), but has a high school Jewish education and even post-high school. Today's child or teenager is aware that there is a Rif and a Rashba that there is a Shulhan Arukh and what it looks like inside. Todays young adult may not be on the way to being a talmud hokhom but probably knows dozens of maamarei Chazal, a lot of midrashim, many 'famous' Rashis, perhaps a couple of sugyas in some shape. They acquire some hashkafah, they know about some famous shittos. They grow up and acquire some more. When you see, if you do, Joe Jew reading a translation of Maimonide's Guide you are looking at a new creature, or at least one that could not have existed when books were hand-copied manuscripts. You are talking about many, many, many thousands of people who know something about something with regards to Torah, Talmud, halakhah, hashkafah--and I do think this is something fairly new. In earlier times there were people who were very pious and as careful about halakhah as they could be, who asked rabbis halakhic questions, but who hadn't a clue what a Mishne Torah was, who the Raavad was, that the Shulhan Arukh is an abridgement of the Beis Yoseph, which itself is a commentary on the Tur and that R. Yoseph Karo had a method etc etc etc. Now, I am not saying that every Joe Jew who knows a little something, who attends a daf, who can and perhaps does, on their own, learn a lot of Torah, knows how the Shulhan Arukh works or knows what the Rif is and all of that. But such people are present in varying degrees, with various shades of knowledge. Heck, I am one of them! You get thousands of people sitting in a class, or reading on their own, in the Talmud 'הלכה ואין מורין כן,' 'don't disseminate this law'-- to whom? Everyone knows it. But there was a time when what was written in shas was not bound to become common knowledge. My point is this: the existence of such people poses a unique challenge to rabbinic authority. No one can now tell them that the Rashbam doesn't say X, R. Hirsch didn't believe Y and the Nodah Be-yehuda didn't pasken this about that. People know these things. It may be that the laymen has a cacophony of knowledge with no ability to sytemetize them, no "mesorah," no right, an obligation to bittul daas etc. But this is what many people are today and they're not going to not have opinions. The boxing fan may be wrong, but 1) some boxing fans are knowledgable enough that they do have a right to an opinion and 2) they're going to have an opinion regardless of whether they're right. More arcane fields, say, the study of Punic paleography, don't come with hangers on with stupid opinions. If this isn't really the desirable way for things to be, the only solution is to stop the daf yomis, to stop the translations, to stop the laymen shiuring presenting the views of the rishonim, stop the mesivtos, and roll back the clock. When you tantalize the masses with some of the things studied in Harvard, they become semi-learned. Reading that last bit back, it sounds more like a rant that I intended. Oh well. I meant to describe, but not prescribe. Just my two prutot. You know the expression a little knowledge is a dangerous thing? Well, be-zeman ha-zeh, the layman knows far, far more than ever before. On the one hand, laymen participation in Talmud shiurim is widely encouraged. On the other hand, the Gemara records halakhot that are en morin ken. Doesn't that imply that the assumption is simply that tens of thousands of Jews ought to be unaware of them? Yet here we are, and no one suggests that the laymen not learn some Gemara, learn some halakhah, learn some hashkafah etc. This thing you decry is a direct consequence of that. Millions of Jews who faithfully observed the laws of taharas ha-mishpachah for many generations did not have a clue that there was anything to talk about; it's pashut, spouses are separated from their wives for a week after the period ends. Today that isn't the case. The people that in former times knew nothing of the origins of this reality now know something, even if not enough to make informed decisions, about it. Does this somehow need to be balanced? Yes. But unless you're calling for a return to more widespread ignorance, to more tehillim zugging, you have got to expect that people who learn a little will have opinions. It is not arrogant or shameful--it is human nature, and the laymen would have opinions about medicine too if every layman was encouraged to dabble in advanced medical journals, indeed, to have a seder in medicine at least once a day, which is just what we are doing in the sphere of Torah, knowing full well as we do that not all laymen will ever develop into talmidei chachamim. I did not deny that. There were also plenty of people who lived fully halakhic lives, to the best of their ability, who didn't know as much Torah as a good 5th grader in a yeshiva, and I'm being generous. Circumstances were entirely different and that is what my comment was addressing. Today there are a lot more people who know "a little." As I said, "you have got to expect that people who learn a little will have opinions. It is not arrogant or shameful." >and in this case you do not have to know much, it is clear from a review of the pesukim in Chumash that what we do le maaseh is far more machmir than that required by the Torah. Of course; we're not talking about that. But we are talking about the fact that many, presumably most by far, had no idea about the nature of the shiva nekiin at all. Thus, it could scarcely have been a topic of discussion. Same applies to any major halakhic discussion. The reason why laymen enjoy discussing them is because they possess some basics. If you train someone to play a little piano, they'll play a little piano, even if they're not going to write symphonies. Nu, so reverse the trend. If the proper place in Judaism for baal habatim is to keep their minds from thinking about things they've no business thinking about, discourage them from learning Gemara. Discourage them from learning Orach Hayyim with Mishna Berura. Put 'em back into their place--you're right. It was better when pious baal habatim could read from a siddur and maybe a bissele Tzene Rena in Juedische-Deutsche (it was not written for women) and hear a rabbi give a derasha twice a year that he could not comprehend. edit: Avakesh points out: "The real issue is that our communities have produced thousands if not tens of thousands of talmidei chachamim and anshei maaseh who in many cases are of as high an intellectual and scholarly caliber as the middle rung of Chreidi leadership." A good point! I hadn't even mentioned people who actually are, you know, talmidei hakhomim. More than a few times have I heard men he called "talmidei chachamim and ansheir maaseh" say "If so-and-so is a godol, so am I." To this day when I hear the name Zecharya Frankel I think of the Chaim Potok book The Promise (and, I think also The Chosen) in which the Zechariah Frankel Seminary stands in for the Jewish Theological Seminary of America, and [Samson Raphael] Hirsch College, for RIETS. You probably know, if you don't you can click the link, that R. Zecharya Frankel was a prime mover in a 19th century religious movement that called itself variously the Historical School or Positive-Historical Judaism. It rejected Reform, and in terms of halakhic practice could, by today's standard, be regarded as basically indistinguishable from Orthodoxy--and even in terms of hashkafah many things acceptable within parts of today's Orthodoxy would not be very different from this group. So much so, that--at least in America--a great many people were unaware of three interpretations of Judaism in the 19th century, knowing only of two: those who were not Reform and those who were. Of those who were not Reform, there could be Jews of the Historical bent. Of those who were Reform there might even be some. But basically it wasn't clear to all parties that this was a third approach, although many Reformers and many Orthodox recognized that it was. 1) What will revelation mean in the forthcoming Seminary? For Orthodox Judaism it is the direct word of the personal, one God to man; for it, "God spoke to Moses" is a simple supranatural fact just as one man speaks to another. Do the leaders of the Seminary acknowledge this Orthodox belief? 2) What will the Bible mean mean in the forthcoming Seminary? Orthodox Judaism believes in the divine authenticity of whole Bible and knows neither of the various authors of the Pentateuch, nor of Pseudo-Isaiah, nor of Maccabean songs under the name of David, or of Solomon's Ecclesiastes from the days of the second Temple, and so forth. What say the leaders of the Seminary of the authenticity of the Bible? 3) What will tradition mean in the forthcoming Seminary? For Orthodox Judaism it is the word which has its origin in God no less than the written word. Everything that is taught in the Talmud as d'oraita (of Torah origin) has in Orthodox Judaism the same origin and the same value as the biblical word. Orthodox Judaism knows nothing of a tradition that had a history in the course of the ages. It knows nothing of its founders who alleged the extension of the law to be divine tradition. It rejects with resentment any such thought as bringing our great and honorable forbears under undignified suspicion. How do the leaders of the Seminary stand in relation to this Orthodox principle? R. Zecharya Frankel never answered these questions; although it could well be that he did not have an Orthodox answer to those questions, I assume he also regarded them as inquisitorial. Frankly, I'm not sure R. Hirsch even wanted them answered so much as to clarify his own point of view and vision of what the Seminary should be like, if it had a reason to exist. It is interesting to see in a nutshell how R. Hirsch defined Orthodoxy, apparently vis-a-vis its positions on four key issues. Although there is no question that individual Orthodox Jews did and do not agree with all of the points in every particular, I think it's pretty fair to say that his formulation does basically reflect Orthodox positions that are still current. 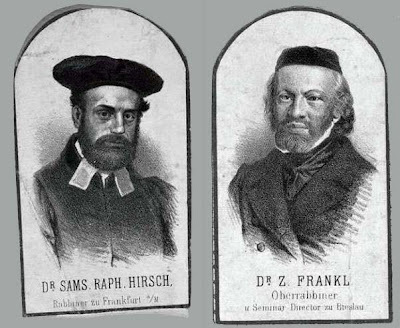 There is more to this story, in that the Seminary would also employ as a member of its faculty a man with whom R. Hirsch had a personal history with, Heinreich Graetz, a former student-friend, a founder of modern Jewish historiography and author of a multi-volume magnum opus on Jewish history which R. Hirsch considered to be appalling. The above translation and note are from Artscroll's Schottenstein Talmud. Now, it is true that the Schottenstein edition does not claim to be a scientific text. It is for this reason that I wouldn't harp on all the specifics of the note. For example, I won't fault it for noting that the English word paradise come from Greek, even though English did not come from Greek and therefore did not borrow this word from Greek; most English words which ultimately have an ancient Greek origin received it via an intermediary language, like Old French, which in turn received the word from Latin, which in turn received it from Greek. Thus, Latin received the Greek παραδεισος, paradeisos, as paradisus, and Old French had it from Latin as paradis etc. I also will not fault Artscroll for describing the Greek word to mean orchard and Paradise; it certainly did not mean the latter in ancient Greek (the Septuagint translators used the word in the sense of Paradise). Whether orchard is the best meaning of παραδεισος, paradeisos is questionable. These sort of generalizations are understandable. What I do not understand is where Artscroll got the idea that the Greek received it from the Hebrew פרדס. In fact, the best explanation is that Greek received it via the Persians. The OED notes that the Greeks received the word from "the Old Iranian base of Avestan pairidaeza- enclosure." Given its long history with the Persians, and the relatively later encounter with the Jews, how and why would Greek have gotten the word from Hebrew rather than the Old Iranian? And why doesn't Artscroll cite any source for this assertion? It occurred to me that it might have something to do with the location of the three places in Tanakh that pardes occurs: Nehemia 2:8, Ecclesiastes 2:5 and Songs 4:13. The first book was obviously written after the exile. Jews could certainly then have received a loanword from Persian. The other two books are traditionally ascribed to Solomon, who lived 500 years earlier. While it is not impossible for an Old Iranian word to end up in the vocabulary of a Judean Israelite of 3000 years ago, it is certainly less comfortable to a traditionalist sensibility than the idea that it is a native Hebrew word after all, especially coupled with the non-traditionalist view of the dating of all three books as post-Exilic. So, am I proposing that Artscroll simply made up the assertion in note 18? Lacking a source, either traditional or modern, that seems to be the inescapable conslusion. As to the why, my guess is only that: a guess.